The latest 'Fortnite Battle Royale' update was huge, but there are many more things players have yet to discover. Epic Games released Season 7 for "Fortnite Battle Royale" on December 6. The new season has brought numerous changes to the popular video game, and players have had mostly positive reactions to it. The video game developer has made a lot of changes to the in-game island. The map looks much different from the Season 6 map and anything else "Fortnite" players had seen before. While we have all seen the iceberg approaching the main island at the end of Season 6, no one could have predicted that the new area would take up almost one-fourth of the island. The iceberg is huge and is currently the highest point on the entire map. Some other areas have received small changes, and the game developer decided to remove Risky Reels as well. However, it appears that Epic Games is going to make more changes to the map, as one player discovered an entire village hidden by the iceberg. Reddit user UmbreonYT has shared his latest discovery with the rest of the community on the popular social network. This "Fortnite Battle Royale" player has used the replay tool to get inside the newly-added iceberg and discover an entire village that cannot be accessed by players. At the moment, players can only see the castle and its surrounding structures on the iceberg. However, the Reddit user has discovered several houses with chests inside of them. Considering that there are chests in this hidden area, I believe that Epic Games is going to make this village accessible to everyone at some point in Season 7. After all, the iceberg moved relatively deep inside the island, so there is a chance that it will keep moving to the north, revealing the hidden village and making it available to everyone. The "Fortnite Battle Royale" developer has been releasing bi-weekly map updates for a few months now, which is why we can expect the same thing to happen in Season 7. Furthermore, we are going to get player-made creations on the main island for the first time! I also think that an airplane is coming this season. Now, Epic Games has released the Creative mode with the Season 7 update. This mode allows players to create their own islands and have up to 16 players playing in them. 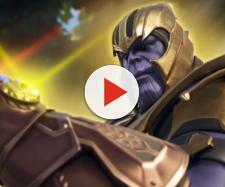 The game developer announced that the best creations are going to be put in the main island in the Battle Royale mode! 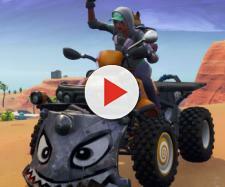 These creations will be placed in the spot where Risky Reels was in Season 6, and I can't wait to see all the player-created areas!